Award-winning financial writer Christopher Carosa once exposed the soft underbelly of a trillion-dollar industry (and still has the scars to prove it). Mr. Carosa, well into his fourth decade in the retirement and investment industry, is a popular and entertaining speaker, appearing from coast to coast. Referred to by his peers as an “imbedded reporter,” he has written more than a thousand feature stories, columns, and exclusive interviews as Editor-in-Chief of FiduciaryNews.com, contributing weekly columnist for BenefitsPro, and regular contributor to a variety of other print and digital news publications. He is also the Publisher of the Mendon-Honeoye Falls-Lima Sentinel, a weekly community newspaper covering 14 towns and villages in the Greater Western New York Region. 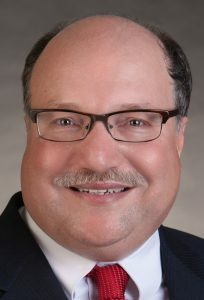 He currently serves as Vice President of the National Society of Newspaper Columnists and is a past president of the Upstate New York chapter of the Financial Planning Association. The author of six books and a popular stage play, Mr. Carosa’s widely acclaimed 401(k) Fiduciary Solutions (Pandamensional Solutions, 2012) has been called “a vital reference tool for years to come.” Among his other books include Hey! What’s My Number? – How to Improve the Odds You Will Retire in Comfort, and A Pizza The Action – Everything I Ever Learned About Business I Learned By Working In a Pizza Stand at the Erie County Fair. His thoughts and opinions have been sought out by such major media outlets as The Wall Street Journal, The New York Times, USA Today, Barron’s, CNBC, CNN, and Fox Business News. A rare breed among financial journalists, Mr. Carosa has accumulated a long, variegated, and successful record as a practitioner in the financial services industry. After earning a degree in physics and astronomy from Yale University in 1982, he joined Manning & Napier Advisers, Inc. During his 14 years there, he helped start the firm’s proprietary mutual fund series, created the firm’s custodial operations division, and created their trust company that accumulated nearly $1 billion in assets before he left. Mr. Carosa earned his MBA from the Simon School at the University of Rochester and the CTFA (Certified Trust and Financial Adviser) professional designation from the Institute of Certified Bankers. Today, he is president of Carosa Stanton Asset Management, LLC, a boutique investment firm. He’s also Chairman of the Board and President of Bullfinch Fund, Inc. a series of flexible no-load mutual funds, including one that concentrates its investments in Western New York companies. If you’d like to read more by Mr. Carosa, feel free to browse his author’s site, ChrisCarosa.com; LifetimeDreamGuide.com, a site to another book he’s working on; his site devoted to his first love, AstronomyTop100.com; and, ChildIRA.com, where both parents and professionals can discover additional bonus material about how to explore the many advantages of The Child IRA.